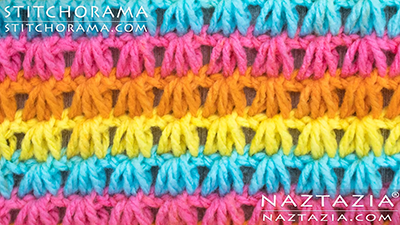 This time we are going to talk about the tutorial to learn how to crochet the Tunisian shell stitch. That’s exactly why we stopped on a material around this tutorial about this stitch. The video tutorial makes it so much easier to learn how to crochet the Tunisian shell stitch. The author of this video is naztazia. As always – It is simply amazing and detailed!